Hey Guys, my first post here so I hope I can write this clearly enough to be understood. When do you stop added liquid ammonium in the fishless cycle process. Im in the middle of my first fishless cycle. I think it is going well. I am two weeks in and the liquid ammonia that I added is gone. I had bought test strips that I would not recomend as they only tell whether there is NItrite and not actually how much. I am now trying to figure out whether to stop with the ammonium and let the bacteria that make Nitrite in Nitrate do its thing or to keep feeding the bacteria that that make the ammonium into Nitrite. 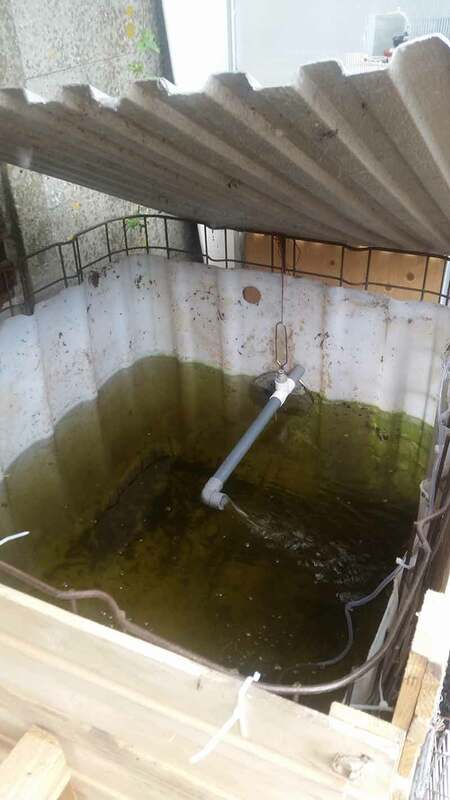 Im have made my first Aquaponics system. 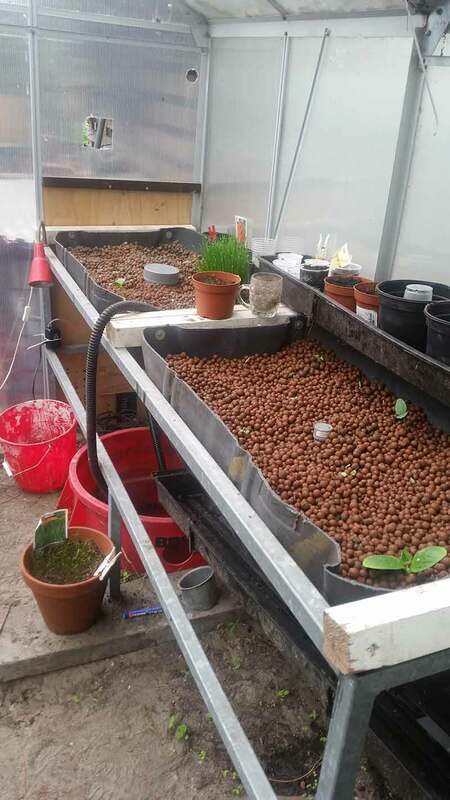 The system is set up so that once the fish are added they are situated outside in a ibc, buried 50cm in the ground (for in the winter). Answer 1 = when the test for ammonia, nitrites and nitrates says so. If you stall at any stage then best to pause. You mess things up by just adding and adding (the bacteria wont suddenly die if they are actually present). AP is about patience; 4-6 weeks of patience before adding fish. if you have been adding and adding then most likely [usual] outcome is you will/have now added too much. You need to establish a nitrate consumer at same time as cycling (ie. get nitrogen liking plants in). the test for effective cycling is that you can bring the ammonia to something like 0.5-1 ppm and then see it go through to nitrates within a day or so without the presence/spike of nitrites *AND* that the nitrates are being consumed/used and not simply accumulating. You need a decent test kit to do this properly as you need to test every couple days or so over a week/s. this is simply too soon to have an effective conversion in place looks like you are currently within nitrites-nitrates establishment phase (you should have no/very small nitrites when this is progressed). you really need two - a liquid seaweed fertiliser with low N & P, and a liquid fertiliser with N (but not excessive). If you add fish without being at this point the ineffective conversion of ammonia and nitrites will kill them. You also cannot add fish until you have an established consumer of nitrates. (b) have an effective nitrate consumption in place. If you persist with only a ammonia source and no established plants then probably you will get an algae bloom. This is probably not enough for a 1000L IBC. You need around 300-800 Litres of wet media (depends on number fish you intend to have). So 2x half barrel is likely not sufficient - you would want 4 at least. my system is more like 500ltr, having only filled the ibc up half. I have not been adding ammonia until I saw the levels starting to drop down. Yesturday I added two and a half cap fulls, this is down from what I was originally feeding. I have planted some plants, a mixture of what I had ready in the greenhouse. I will feed ammonium and see over 24 hours if it decreases. looks OK. I would still swap from ammonia to liquid seaweed extract. and get the plants going before worrying about adding fish. That is by far the safest option.